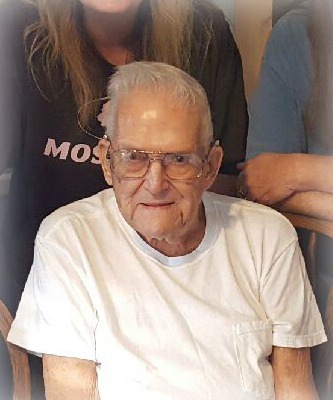 Dewey C. Westbrook, Jr., 93 of Empire, OH, passed away Saturday Aug. 11, 2018 in the Valley Hospice Care Center North in Steubenville, OH. Dewey was born Oct. 16, 1924 in Empire, son of the late Dewey C. Westbrook, Sr. and Margaret (Keenan) Rudder. He was retired from Anthony Mining where he worked as a truck driver. Dewey was a member of the Empire United Methodist Church and the Toronto American Legion Post #86. 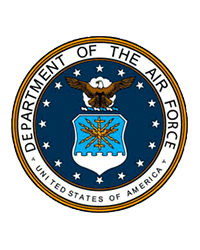 Dewey was a Veteran of the US Army Air Force having served his country in WWII. In addition to his parents, Dewey was preceded in death by his wife, Delores M. Westbrook, who passed June 19, 2004, and by his son, Larry Westbrook, who passed Jan. 9, 2003. Surviving is his daughter, Lorie Westbrook of Empire; his four sons, Randy (Carol) Westbrook of Empire, John Westbrook of Toronto, Charles Westbrook of Empire, and Dewey C. (Joann) Westbrook, III of Toronto. He also leaves behind his sister, Jackie Weaver of Toronto, his 16 grandchildren, 19 great-grandchildren, 3 great-great-grandchildren. Family and friends will be received Tuesday Aug. 14 from 6 - 8 pm and again on Wednesday from 2 - 4 & 6 - 8 pm at the J.E. Foster Funeral Home in Toronto, OH. There will be additional viewing on Thursday from 10 am til the time of Dewey’s funeral service at 11am at the Empire United Methodist Church. Layman John Keenan will officiate and burial will follow in Sugar Grove Cemetery. Military graveside honors will be provided by the Toronto American Legion Post #86.